It’s the most wonderful time of the year for a merry mess in your kitchen. Surely you’ve baked something sweet at this point, right? So far, I could’ve done flour angels on my counters and skied upon the mounds of baking mixes catapulted from an overexcited stand mixer. 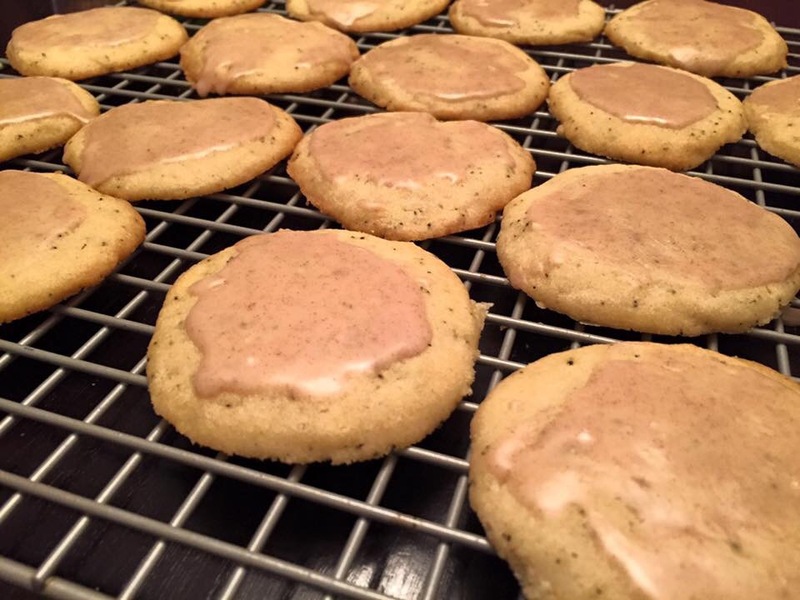 Taylor Swift’s vanilla chai cookies…. and chocolate-iced tea cakes straight from my partner in cuisine crime’s days as a boy. I also made a staple from my family, rugelach, which is a flaky rolled crescent stuffed cinnamon/sugar and walnuts.. And still, I feel like I haven’t created enough. 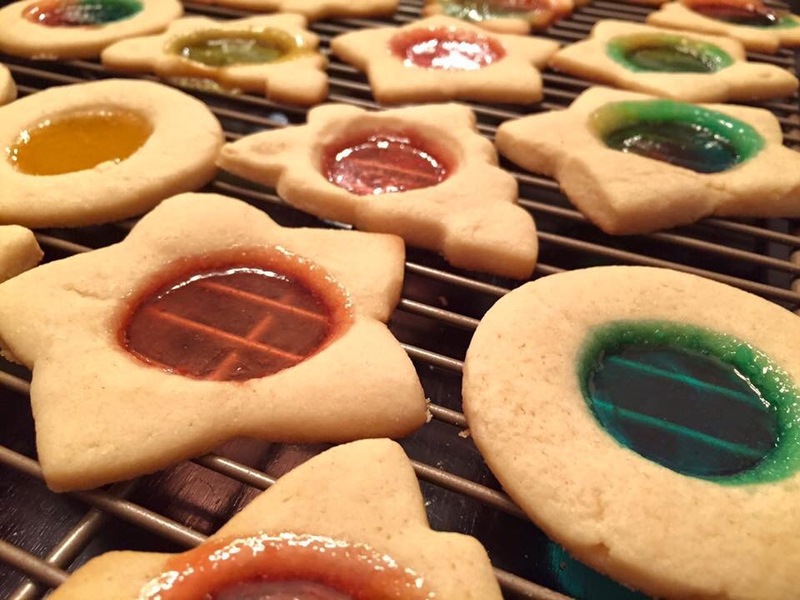 Christmas cookies were a key ingredient in my childhood. My mom baked and baked and filled tin after tin. My Aunt Darlene had us over every year to make and decorate sweet seasonal treats. It’s a tradition. The more I make, the more connected I feel to good memories. I love pulling out my mom’s handwritten recipe cards to make the classics, but I also love to come up with new ideas. Wouldn’t it be a great gift to know that a cookie or treat you created survived the test of time? Eternity would be even sweeter knowing my original creation got passed on from generation to generation. I’m all about pushing the limits. I love mixing savory and sweet flavors. It’s easy to overdose on sugar during the holidays, so bumping down the sweet stuff and amping up the unusual really works for me. 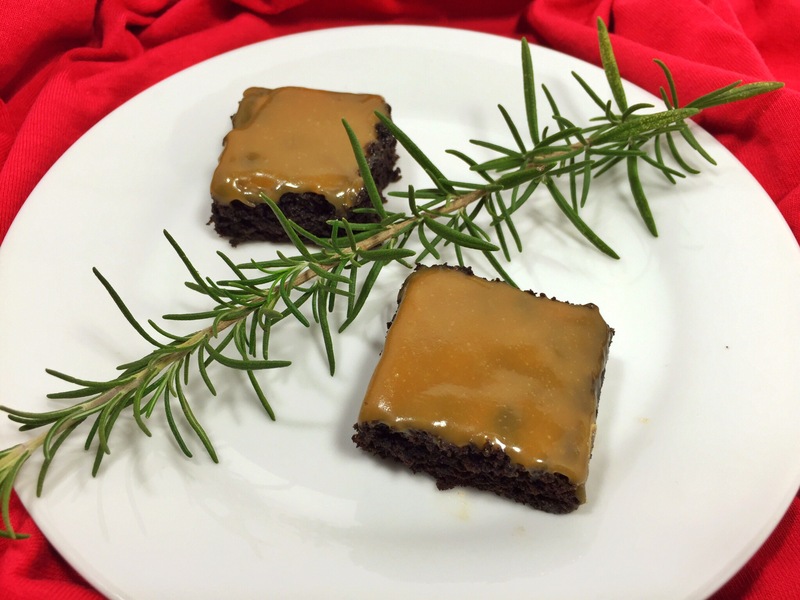 Enter my Dark Chocolate Rosemary Brownies with Caramel! First of all, rosemary is the gift that keeps on giving. We have two huge bushes that stay green all year. They’re gorgeous, and they smell so good! I high recommend planting rosemary in your backyard. It gets tall. It’s drought tolerant. You can cook with it. Do I have to continue? Plant it already, will you? 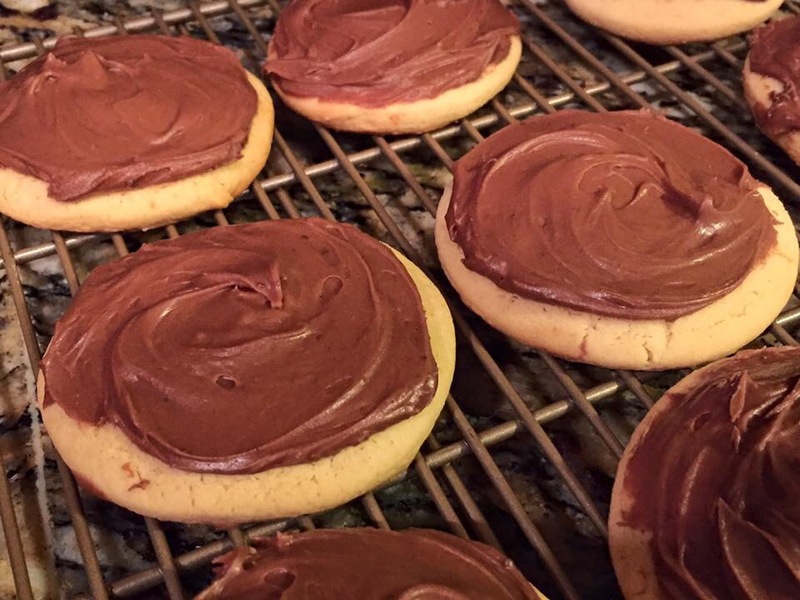 In a previous post I told you about a rosemary chocolate cookie I found on a blog. I’d never think to pair that herb with chocolate, let alone in a cookie. But it really works. OK, I think it works. My partner in cuisine crime doesn’t. He’s not big on the marriage of salty/sweet. 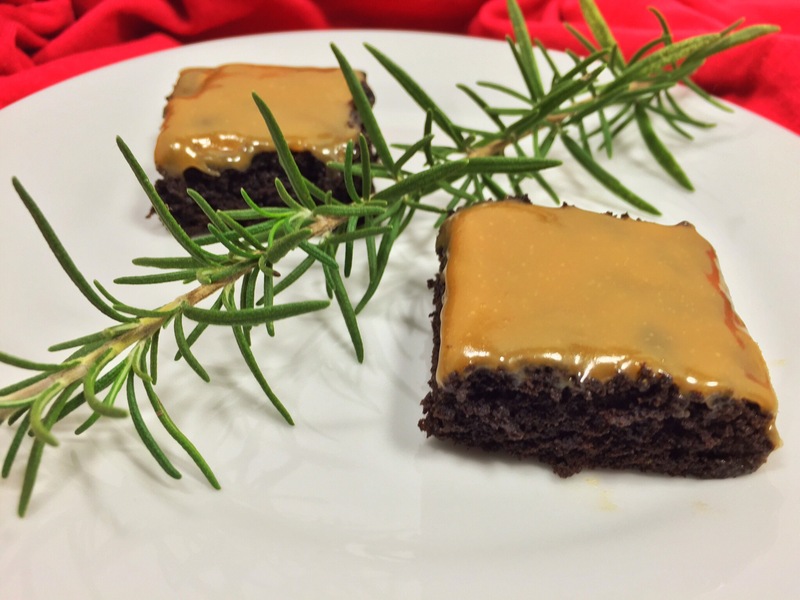 The woodsy, minty (rosemary is part of the mint family) qualities in the rosemary seem to cut through the intense, richness of the chocolate. While I was in Florida visiting family, we went back to this chocolate shop (to die for), where I got a rosemary caramel. It’s a gorgeous, colorful candy bursting with sugary, gooey goodness infused with fresh rosemary. Once again, the herb is like a lightning bolt that cuts right through the sweetness. For my brownies, I decided to combine these ideas. To remove the leaves from the stem, hold one end of the stem with one hand and then use the fingers on your other hand to pull the leaves down the stem, stripping them away. Chop the rosemary leaves as finely as you can get them. You’ll need 2 1/2 tsp. Line a 9×9 baking pan with foil or parchment paper. Make sure it hangs over the sides. The excess will be your handles to remove the cooked brownies later. Spray with cooking spray. In a bowl, stir the oil and sugar until combined. Add the vanilla and eggs. Stir until combined. 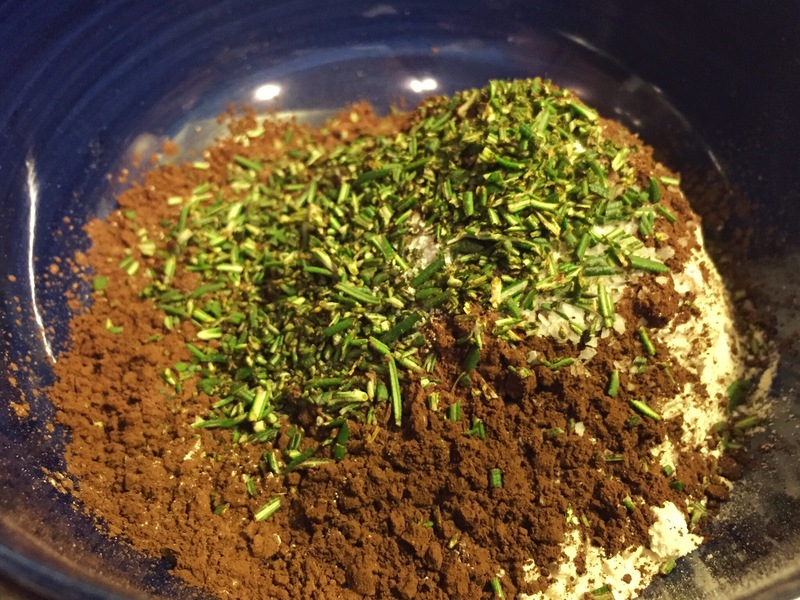 In another bowl, combine the flour, cocoa, baking powder, salt, and freshly chopped rosemary. Add the dry ingredients to the wet ingredients and stir until combined. Dump it into the prepared pan and spread it as necessary to fill the bottom of the pan. 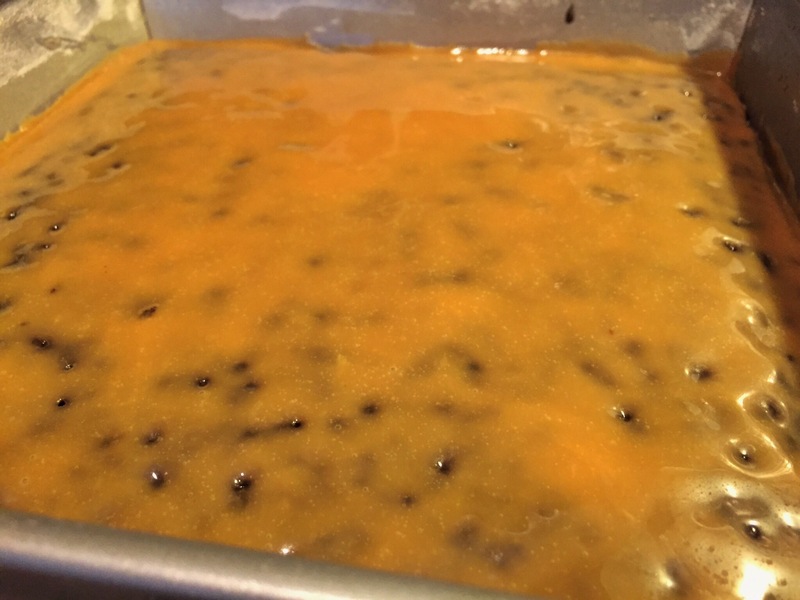 Bake for 22-24 minutes or until the edges of the brownies pull away from the sides of the pan. 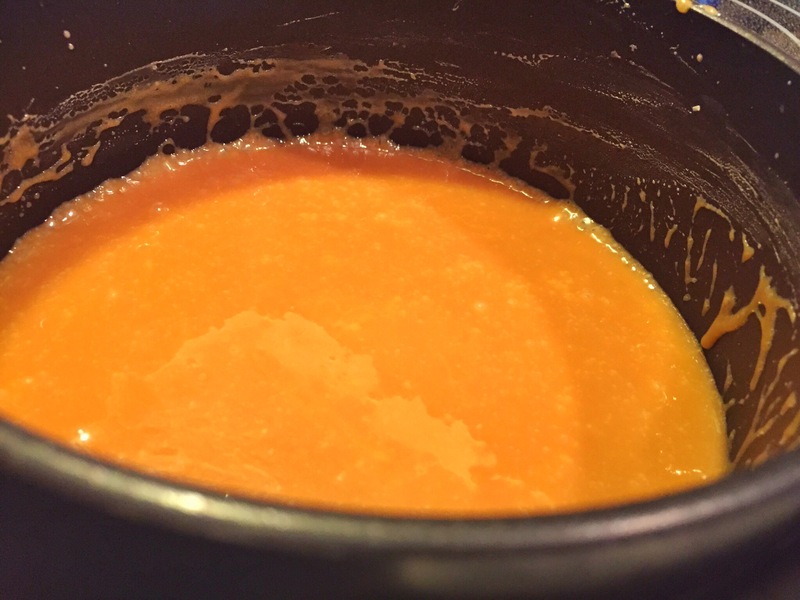 Peel the caramels and add them to a small, non-stick pot. Add the milk. 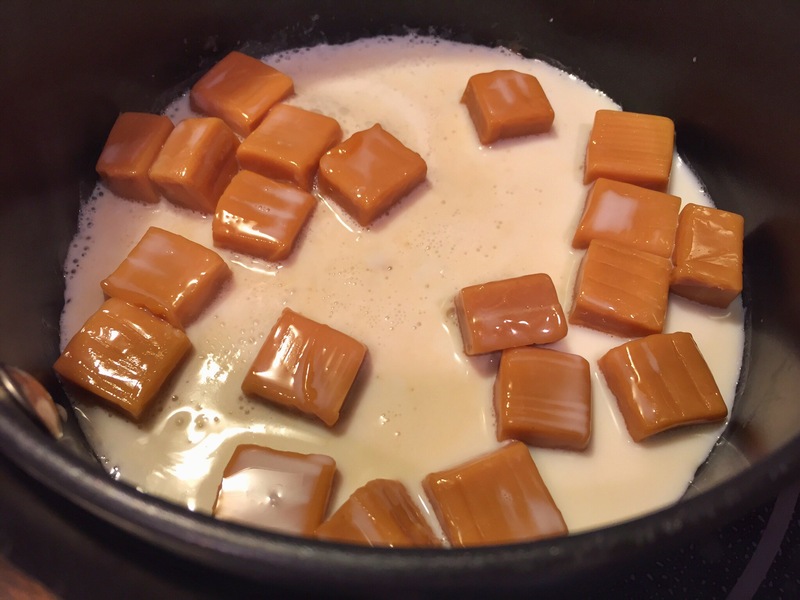 Heat over medium-high, stirring with a rubber spoon or rubber spatula until the caramels melt and create a smooth, creamy sauce. Keep on low eat, stirring occasionally, until the brownies are done. 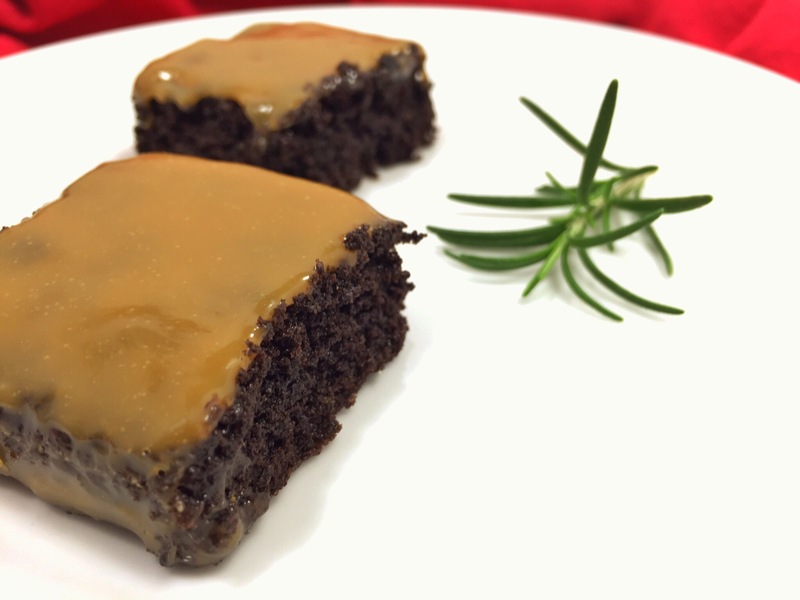 Pull the brownies from the oven and immediately pour the hot caramel sauce over the top, covering the brownies. Spread the caramel with a rubber spatula or lightly tilt the pan if need be. Let the brownies cool completely. Remove them from the pan using the sides of the foil/parchment. Slice into small squares. 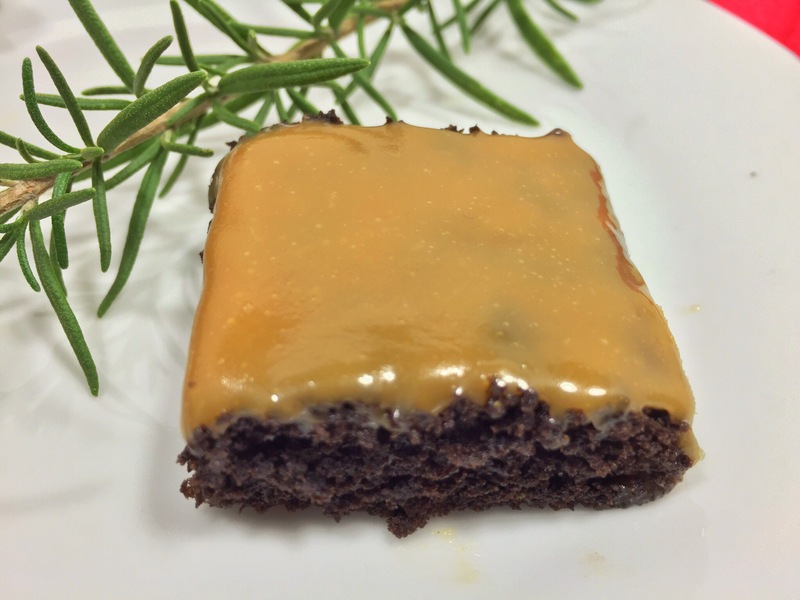 There’s a hint of rosemary pulsing through the rich, decadent cakey brownies. It wakes up your nose first. In fact, your senses are going to be all out of whack here. I feel like these scream “WINTER!” Rosemary is a hearty, comforting herb. It’s Christmas tree meets candy cane, and chocolate just makes it better. 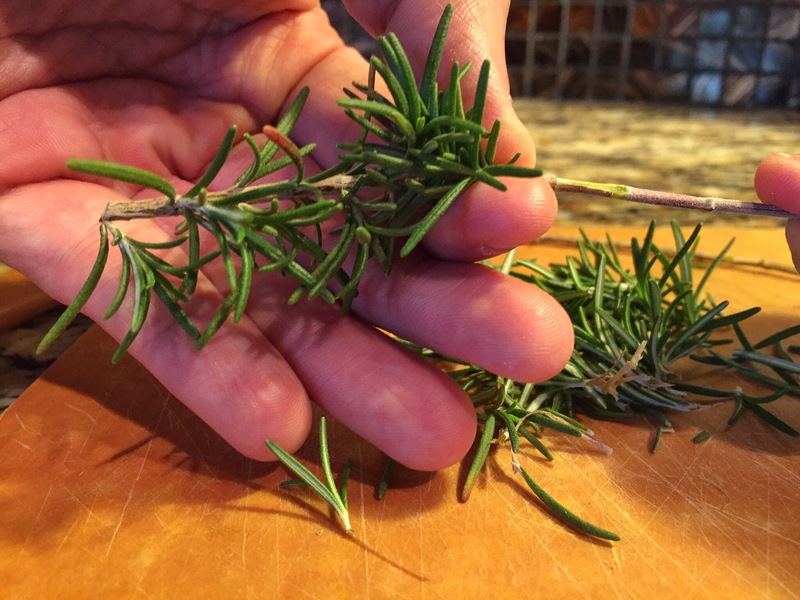 Tip: If you can’t find fresh rosemary, you can substitute the dried stuff. 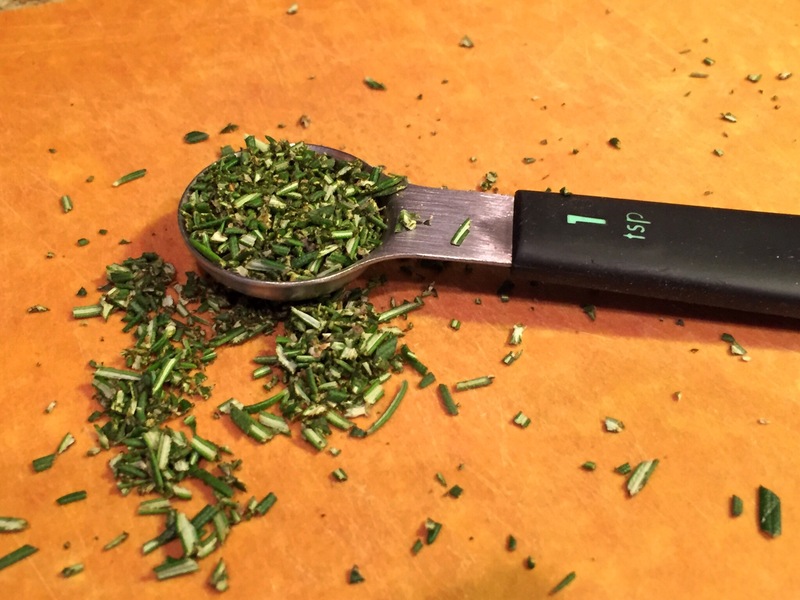 Dried herbs are more potent than fresh, so you’d use 1 tsp. of dried for every tablespoon of fresh. In this recipe, I use 2 1/2 tsp. of fresh rosemary. In measurements, 3 tsp. equals 1 Tbsp. So, for math’s sake, I would use just under 1 tsp. of dried rosemary. Crush it up or chop it up finely before adding it to the dried ingredients. With this said, I’d try to find the fresh stuff. Did I mention growing your own? you carry on our love of family and Christmas! Great recipies. Hope I’ll have time to do a couple before Christmas.